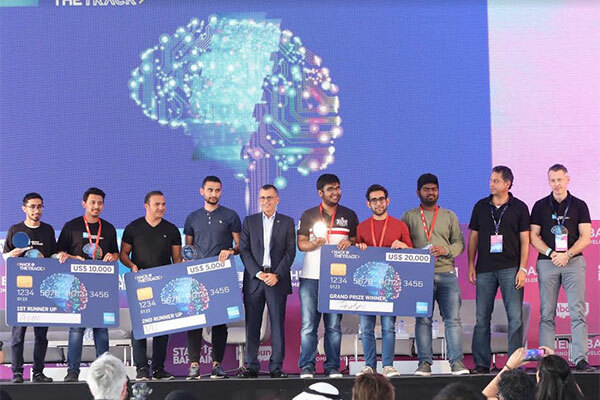 The American Express Middle East “Hack @ The Track" hackathon recently held at the Bahrain International Circuit (BIC) has successfully concluded with three winners awarded, $20,000, $10,000, $5,000 respectively. The 30-hour challenge attracted just under 100 participants from across the region. Building on American Express Middle East’s robust capabilities to deliver a service experience that makes a difference to Cardmembers and business partners every day, the challenge was set to find creative, simple and impactful ways to make digital payments that are convenient, accessible and relevant to many. A total of 25 forward-looking solutions were developed, leveraging technological advancements such as machine learning, predictive algorithms, chatbots, natural language processing and blockchain that can serve today’s connected consumers. Held in partnership with IBM and powered by Angelhack, the event was one of the highlight of unbound – Bahrain, the Bahrain edition of the International Innovation Festival in partnership with the Bahrain Economic Board. The grand prize of $20,000 went to team PaySync, a funds transfer solution leveraging blockchain technology. Team Stipeno was awarded second prize for their concept for an App which allows parents to work with minors to best manage their allowances and understand spend management, while team Varo was awarded the second runner-up, awarded $5,000 for blockchain-enabled digital solution to onboard and verify customers identity.